Taishi Miwa is a supporting character in Cardfight!! Vanguard. 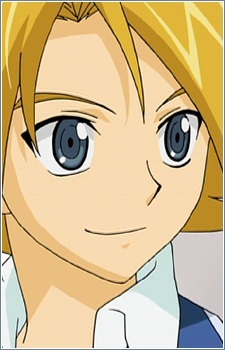 He is a friend of Toshiki Kai, they have been friends since young and he is Kai's only friend. He understands Kai and plays with him Cardfight!! Vanguard. Unlike Kai, he's more friendly and loves to joke. He also goes to the same school as Kai. He'll be running the Card Capital Store together with Izaki for Shin and Misaki while they're Asia in Asia Circuit Hen.